Residents worried about watering their lawns can stop worrying about them, at least for the next few weeks. 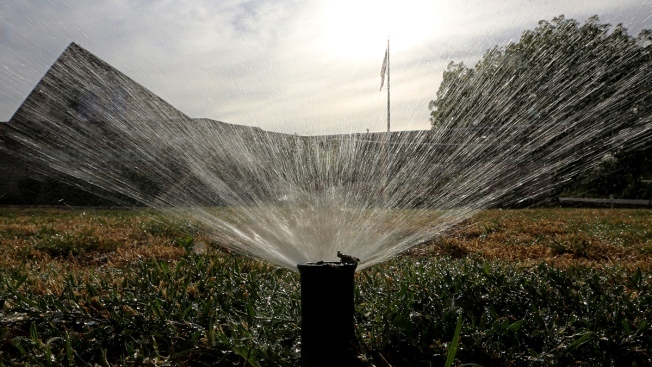 Before the rain falls Tuesday and Wednesday, The San Diego Water County Authority is urging residents to turn off their sprinklers and irrigation systems and leave them off for several weeks to let Mother Nature do the work. The heavy rain expected to fall will provide enough water for lawns to survive without irrigation for up to two weeks. Once the storm passes, residents should wait until the top one to two inches of soil are dry before they start watering their lawns again. A flash flood advisory is in effect through 8:00 a.m. Wednesday. Forecasts for this winter predict an above-average amount of rainfall for Southern California.